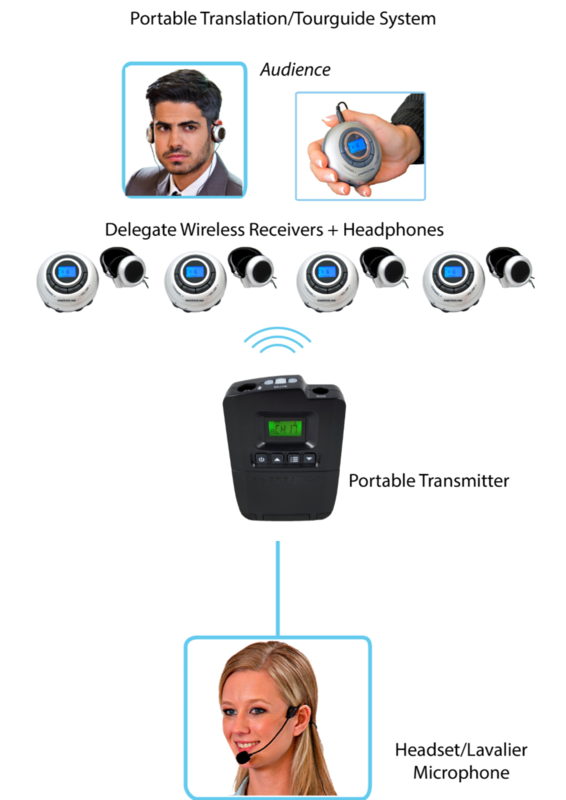 This 5-person Portable Wireless Translation/ Tourguide System provides superior sound quality and full mobility, combining multiple-channel transmitter and receivers, as well as improved reliability and versatility. It can be expanded by adding an unlimited number of additional receivers. More foreign languages/ auditory sources can be added for a maximum of 6 in the same area by purchasing 1 additional transmitter and microphone per auditory source. 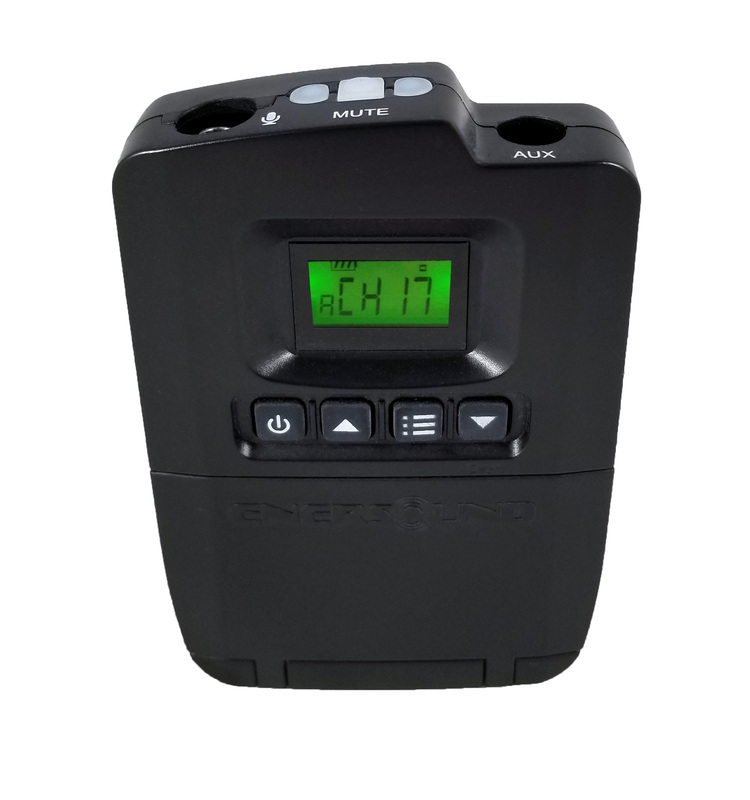 -TP-600 Transmitter: Lifetime Limited Warranty. 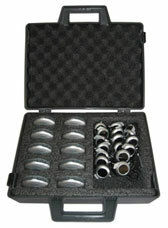 -EAR-120 Headphones: 1-year factory warranty. 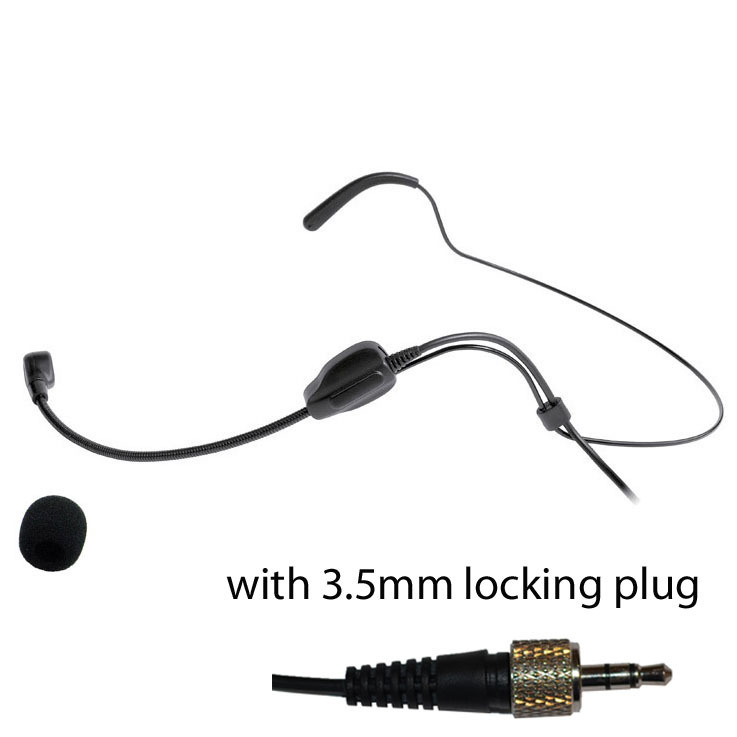 -MIC-200SEN Microphone: 1-year factory warranty. It was of unparalleled assistance in my matter.Without the help of this system I don't know that I could have achieved this successful outcome." It worked wonderfully for our church, providing a great service and I recommend it highly for their service to the Lord and his church! Some preachy acquaintances in my business had already told me about this system.Now I can testify my akcnowledgment and gratitude.Carry on the good work! As a lawyer it is fantastic and it helped me project a strong an confident image across the whole court room. The Spanish speaking defendants can now follow their case in their own language and participate more actively in their case. The interpreter is also very appreciative. I can not thank you enough.Thank you so much. I sat down to submit my request for a special offer, and you guided me through the order process.Everything was made very professionally. Fast shipping. I am so impressed that I'll recommend it to everyone. I travel with groups of tourists on package tours to national and international holiday destinations, where I am responsible for every aspect of the holiday and it is a perfect tool for me. Quality of sound and simplicity when it comes to setting everything up.Working has been a rewarding experience. This experience has allowed me to put my teaching skills into practice while engaging in a rich culture. I would like to express my gratitude and remark all the benefits this equipment brought to my church.Praise God for this. It has been almost two years since I bought it and I can remember how bad it was for us to know some people couldn't get the word because the did not speak our language. You're doing just fine! Click the button below to add the 5-Person Portable Translation/Tourguide System to your wish list.